If you want to keep up with the best modern movies, TV shows, and video games, a strong Television is absolutely essential. TVs have come a long, long way even in just the last few years. There has been an abundance of advancements in a lot of different categories ranging from picture quality to smart compatibility. Said advancements have pretty much all been in response to the capabilities of modern digital cameras and video game development. Cameras are able to pick up the most lifelike footage possible and for you to experience that when you're watching you need a TV that can replicate the effect. Similarly, video games these days have reached heights like we never expected. The detailed environments that these game developers can create are absolutely stunning. The problem, of course, is those good TVs cost money. But have no fear, if you're on a budget, you can still get a TV that will give you the gaming and viewing experience you're looking for. Here are some of the best ones that cost less than $500. You can also check out our review on 32 inch to 39 inch TVs for a real bargain! Related Review: Best TVs for under 400 dollars. Which TV Under $500 is Right for You? What is the Best UHD TV Under $500? 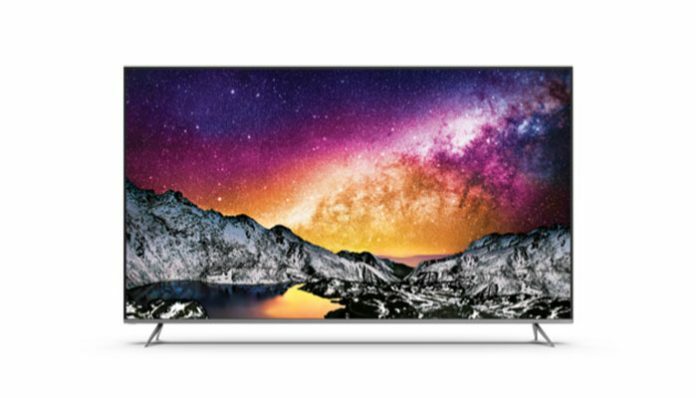 Which Brand of 4K TV is Best Under $500? Before we get into each individual product, wed like to mention that every single choice on the list here is an Energy Star rated product. Each of them has an Energy Star rating of 75 or higher and what this means for you, is that the TV will be more energy efficient. The device will expend less energy and as such will take less of a toll on your electricity bill. This is definitely a big plus, and with that in mind, lets get into the products themselves. Want to spend less? Try these budget TVs under 300 dollars. Got more of a budget? See these top-rated TVs for less than 1000 dollars! 1080p resolution complete with a Wide Color Enhancer. DTS Premium gives you phenomenal sound. 2 HDMI ports and a USB port. Takes HDR a step further with Active HDR. WEBOS 3.5 is a very useful smart operating system. A large array of inputs and outputs. 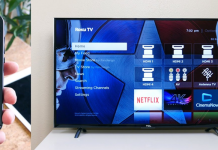 Unlike Samsung, LG and some of their other competitors, VIZIO don't have a huge amount of high-quality products to choose from, but they do have a select few that are very much worth considering. This TV, for example, is our Top Pick for this particular list and as such, we believe it's the best choice for a LED 50" TV that's under $500. The screen is 50', so it's nice and big and it's got stunning HD resolution with 1080p. This makes for an excellent picture and the screen is LED too so the peak brightness control is second to none. It's also a Smart TV, which is a huge plus and it has a great smart platform. VIZIO comes with Internet App Plus, which is very reliable and easy to use. Why We Liked It - It's the perfect 50 inch TV to choose if you're staying under $500. From the picture to its smart system, everything is outstanding. Well, there it is. It didn't take long at all for a Samsung TV to appear on this list. When it comes to great televisions, Samsung is one of the most prominent companies. They come out with incredible products at an alarming rate. This TV, in particular, is excellent value for money. 1080p resolution is just a tremendous picture, especially when coupled with the LED panel like this one is. The color accuracy and contrast is off the charts. The Motion Rate is 60 which will be pretty satisfactory for the part. If the images on-screen are particularly fast-paced, Motion Rate 60 might leave things somewhat pixelated but overall it's not a huge problem. It's also got DTS Premium Sound which is a very crisp, surround sound system. + 1080p resolution complete with a Wide Color Enhancer. + DTS Premium gives you phenomenal sound. + 2 HDMI ports and a USB port. 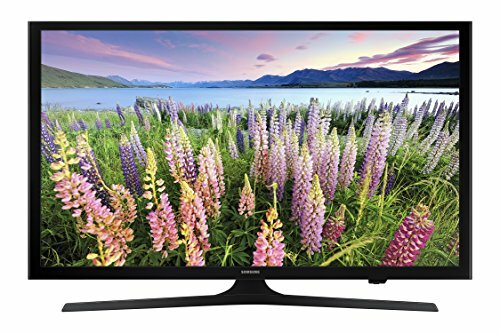 Why We Liked It - In terms of their less expensive products, this amazing 43-inch TV is one of, if not the best Samsung television available with incredible picture and sound quality. 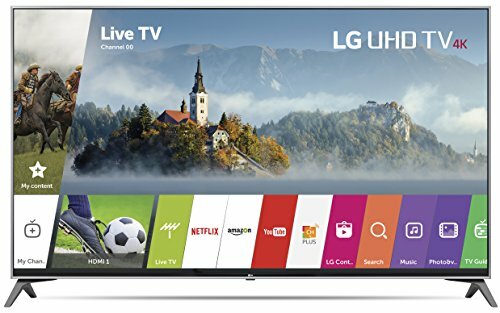 Like Samsung, LG is another name that produces excellent TV after excellent TV and this particular model is a huge bargain. With the 4K resolution, it is a step up even from the 1080p that the higher choices on the list offer and its also got Active HDR. Taking regular HDR even further, this will optimize every individual image that appears on-screen. This feature of the LG 55inch 4K TV will ensure that no matter what youre watching or playing, every second of it will have the best color accuracy and contrast ratio possible. LG has a very popular, renowned smart platform called WEBOS, which theyve been updating and perfecting for years. 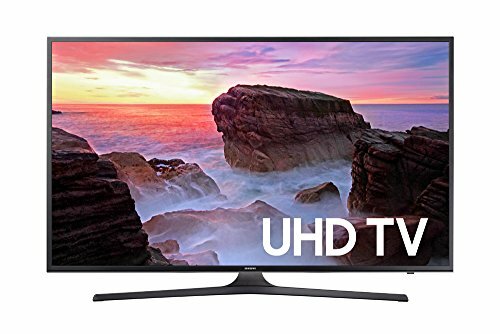 This 4K Ultra HD UHDTV has the most advanced version operating system which is WEBOS 3.5. Essentially it brings every app on the TV together in a user-friendly live menu. Its smart compatibility at its finest. + 4K Ultra HD resolution. + Takes HDR a step further with Active HDR. + WEBOS 3.5 is a very useful smart operating system. + A large array of inputs and outputs. Why We Liked It - 4K and HDR is the perfect blend for a fantastic picture on this 55inch 4K TV screen and the WEBOS 3.5 operating system is an added bonus. It is one of the best 4K TVs to buy under $500. Or, see these cheaper TVs under 200 bucks! This is quite similar to the other Samsung model that came in at number 2 on the list but with a larger screen and no smart compatibility. The same specs on a bigger screen usually lead to a slightly reduced picture quality but it's still a very good product. It still has the beautiful 1080p resolution along with the LED panel. There's the Wide Color Enhancer too which ensures that every shade is optimized. And this even works on for older content that wasn't originally produced for a full-HD screen. DTS Premium Sound is also in use here and there's Motion Rate 60 in this too. 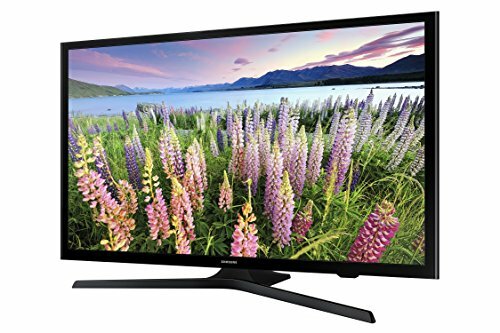 This LED TV comes with the Samsung ConnectShare Movie feature which makes it very possible to display content from a USB device. + 1080p and an LED panel. + A great surround sound experience. + ConnectShare Movie makes your other devices accessible. Again, this is quite similar to the other Samsung models with a different size. What can we say? The set-up is extremely effective. Like the others, there's that dependable 1080p resolution with its Wide Color Enhancer. Motion Rate 60 too for the nice, fast refresh rate and of course, DTS Premium Sound so it's as good to your eyes as it is to your eyes. Samsung's smart platform is back too along with Anynet+ and integrated Wi-Fi. This one also has something called an Eco Sensor which is a very handy feature that will scan the brightness of your home theater and adjust the picture's brightness and contrast accordingly. Very modern indeed. + A very complete Smart system thats packed with smart features. + Terrific picture and sound quality. + The Eco Sensor works wonders for brightness optimization. Why We Liked It - This is just Samsung doing what Samsung does best. Great picture quality, sound quality and many other worthwhile features. Weve got yet another great Samsung product here. This has also got a pretty amazing picture, its 4K UHD with full HDR too. This Samsung 4K HDR TV has got Essential Black Pro which is a feature that ensures the darkest scenes will still be as clear as possible. Modern cameras will pick up everything and with Essential Black Pro you wont miss a single tiny detail. The Motion Rate in this one is more favorable than in some of the higher models. With 120, you are not likely to see a whole lot of problems even during high-intensity content. So if youre watching a hockey match thats gone down to the wire, this 4K TV wont have any trouble with the speed of the players. Many different inputs and outputs too. + Fantastic picture quality with 4K Ultra HD. + The best version of HDR available. Why We Liked It - Everything about the picture quality is outstanding. From the UHD resolution to the Motion Rate, it makes for incredible imagery. So what we've got here is all of the important essentials that make up a great picture plus a couple of extra, unique features that really enhance the experience. Firstly this 55-inch television has Super UHD which is usually abbreviated to SUHD so it takes Ultra HD to a new level. HDR is of course featured in this model too, and there's something that we haven't discussed before called Nano Cell Display. This feature is actually an LG exclusive and it's a revolutionary new LED system. It focuses on every specific shade to bring out all of the smallest details. Nano Cell technology produces an extremely wide spectrum of colors, far wider than conventional TVs. You'll also get WEBOS 3.5 with this Ultra HD LED TV which is an extra advantage. + SUHD brings the resolution up a notch. + Revolutionary Nano Cell Display. + 4 HDMI ports among many other inputs and outputs. Why We Liked It - The Nano Cell Display technology is the real selling point here. Youll definitely notice the difference and it will change the way you experience color on-screen. 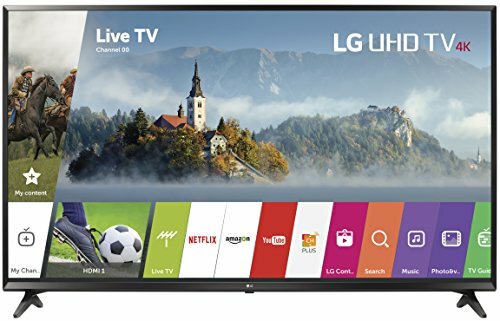 This fantastic 60 inch TV is an LG model that has some of the revolutionary picture enhancing features that weve talked about already. Those being the Ultra HD resolution along with True Color Accuracy, and Active HDR. As we mentioned with another LG product, Active HDR re-adapts the HDR screen technology for every specific image. Giving you the best possible results regardless of whats on the screen. Its got an IPS Panel too which makes sure that its a clear picture no matter which viewing angles arise. Some TVs that lack this need to be viewed pretty much head one to get the best experience, but the IPS Panel solves this problem. And of course, like all of these great LG TVs, theres WEBOS 3.5 too. + LGs fan-favorite WEBOS technology. + Several different inputs and outputs. Why We Liked It - The TV has a magnificent picture thats displayed on a giant 60 screen. That and the WEBOS platform make it an excellent choice for less expensive products. 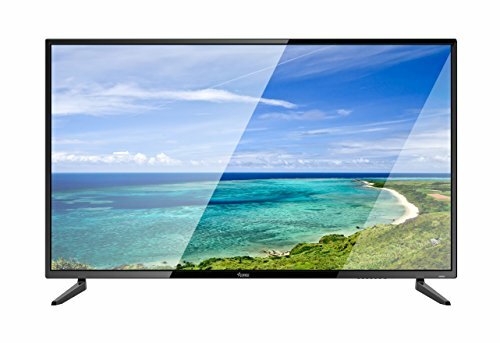 For bigger TVs try one of these 75 Inch televisions. 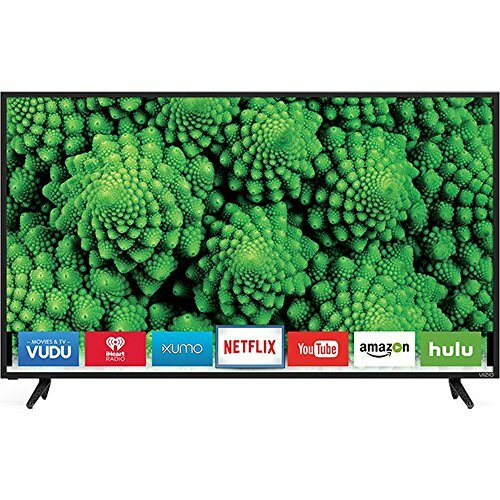 We talked about VIZIO earlier with our Top Pick and this is another great product from that that has a lot of advantages. It has a Full-Array LED screen which looks incredible, the brightness and contrast control is the absolute best you can get with 12 Active LED Zones. This means that the LED TV screen is constantly adapting and changing to suit the specific picture. It has a strong Motion Rate too, the system is called Clear Action 240 which does exactly as advertised. You're unlikely to be dealing with a whole lot of blurring even during the most high-speed scenes. 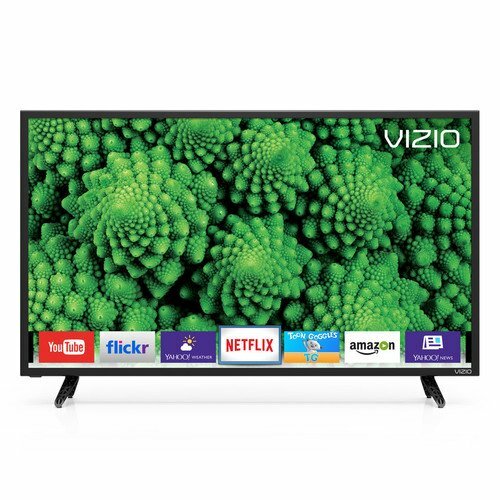 Also, this is a Smart LED TV and it has VIZIO Internet Apps Plus which is a very reliable platform. 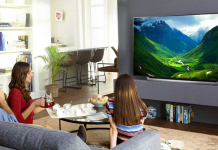 Why We Liked It - The Full-Array LED and Clear Action 240 are some of the best picture enhancements available making this Smart LED TV great value for money. 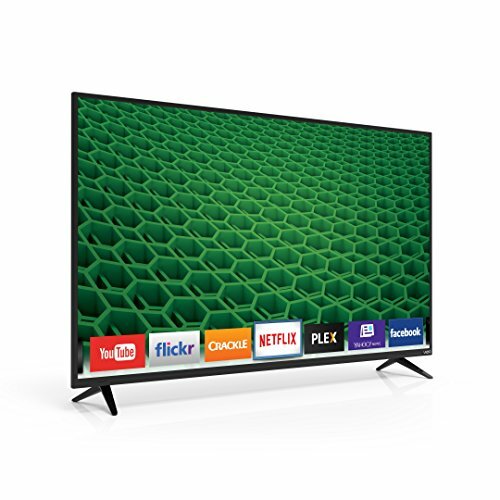 Now as you've no doubt guessed, this is the weakest product that we'll be discussing but it's still a very solid 4K TV and is very good value for the low price. The first thing to note is that it's not a Smart TV. This may or may not be a dealbreaker for you but with the majority of modern televisions having smart compatibility, it's definitely something we need to mention. It does have Ultra HD resolution though, so it's not lacking in the picture department. There's also an Upscaling Engine which means that if you're watching or playing old, lower resolution content, it will look as good as new. The Motion Rate of this 55-inch 4K Ultra HD TV is also pretty good thanks to an Avera exclusive feature called Accelera++ technology. And even though it doesn't have full Smart compatibility, you can cast content from a phone or a tablet. + Accelera++ allows a satisfying refresh rate. + HD Dolby speakers are inbuilt. Why We Liked It - The Avera 55-inch 4K Ultra HD TV far from the best TV on the market but considering the low price range, it has a lot going for it in the picture department. So as you can see, there is actually quite a few great choices for inexpensive TVs you can buy on Amazon and each one of them has its own advantages and disadvantages. We can recommend you a specific TV all we want, but you've got your own personal preferences. Everybody does, everybody wants something specific out of their TV and you might be using yours for completely different reasons to other people buying the same product. Some people aren't interested in gaming, some people aren't interested in movies and there are some people who just want a great TV for when they invite friends over to watch sports. There are quite a few different factors that make up a high-quality television and each one of them could be irrelevant to your desires. So let's take a look through these factors so you can get a sense of what you actually want. This is something that youve probably given quite a bit of thought too already if youre choosing a new TV in 2019. The resolution of a television, as you know doubt know, is how much detail can be conveyed by the images on-screen. Even if youre not particularly tech-savvy, youve probably seen the resolution numbers on YouTube videos or other popular streaming services like that. Numbers like 720p and 1080p. What these are referring to is the size of the image and how much of it is being replicated onto the picture. The higher the number the more detailed the picture. The earliest TVs back in the 1950s when they first went into production were generally in the range of 240p. Nowadays, that wouldnt even be considered acceptable for a video posted on YouTube. Even DVDs from the early 2000s were only 480p. If something is 720p, which is usually the lowest that you would expect from any modern movie, game, or YouTube video, it is considered High Definition. The next level up, 1080p is also HD and up until recently was the standard resolution for a good HD TV. This will probably still suit your needs just fine. Most of the stuff that youre going to be watching or playing looks very clear and detailed on 1080p and its very common among TVs that cost less than $500. The best TVs today, however, are what we refer to as 4K. This is the next stage in the advancement of HD TV and takes the image resolution to a level well beyond 1080p. You'll often see 4K TVs with the letters UHD on them, which stands for Ultra High Definition and is basically the standard version of 4K. Certain TVs you can buy on Amazon will have SUHD or Premium Ultra HD which are both still 4K resolution but with minor tweaks and adjustments to enhance clarity. These are good features to have if you want to spend the extra money on 4K TVs but not essential. In fact, we'd say that if you're on a budget here and are sticking to less than $500, 4K isn't essential either. A lot of the media that is being produced is being produced with the intention that it be displayed on a 4K TV and that would probably make for the best experience, but it will still look great on 1080p. 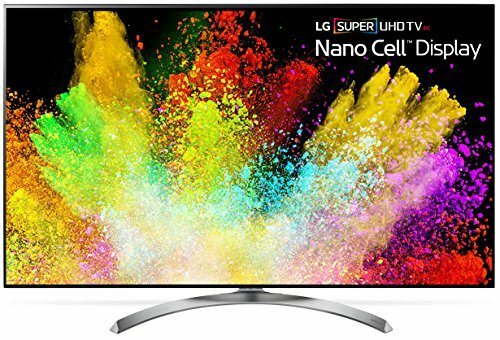 There are a few TVs you can buy on Amazon for less than $500 than do support 4K resolution, but if they don't suit your other needs then sticking to 1080p should be fine. High Dynamic Range or HDR as it is more commonly referred to is a revolutionary new technology that is present in a lot of modern televisions. Much like what we said about 4K, HDR is not a feature that you'll find in every modern TV and it's even less common in the cheaper models. 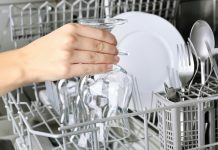 It's also not something that's an absolute essential, especially when you're trying not to spend too much but it is a great feature to have. And it's definitely something that you'd notice the lack of if you went back to a non-HDR TV afterward. The function of the technology is to increase the range of brightness that the screen is capable of displaying. This doesn't necessarily mean that it will make everything too bright, but basically, it will allow for as much contrast and detail as possible regardless of how bright or dark the image actually is. So as you've probably noticed with most TVs, when you're watching a particularly dark scene, everything looks sort of murky. You can't see much of what's going on in the background and there's no real clarity to the image. This would not be the case with HDR. Because it can display a larger range of colors and shades, details won't get lost in the darkness. HDR really is a brilliant addition to TVs these days because of just how advanced camera technology has become. The most up-to-date cameras can pick up the tiniest detail in every scene filmed and if you have don't have an HDR TV you can't experience that to the fullest extent. In a way, it applies even more so to video games. Video Game developers have got so much scope with modern video game technology and it's very common for these games to be packed with detail and intricacies. Especially for something that's open-world with a massive environment to explore. If you've ever played something like the newest Grand Theft Auto or Fallout game, you know just how much there is to see and how beneficial it is to have a TV capable of a detailed display. On the subject of video games, its worth noting that HDR generally comes in two different forms. Youve got HDR10 and Dolby Vision. Dolby Vision is not uncommon outside of the most expensive TVs so you probably wont come across it on a budget of $500, but in case you do, consider the connection to gaming. HDR10 is the output that is used by the current generation Xbox One and PS4 gaming consoles and so getting a Dolby Vision TV is counter-productive if you want to use the 4K TV for gaming. Aside from that, we will sing the praises of HDR all day long, but ultimately its expendable if youre trying to save. Non-HDR wont make the TV unwatchable by any means. LED TVs have been around forever, so it might come as a bit of a surprise to you that it's not actually all that common of a feature in every TV. With other advancements such as HDR, the necessity of LED for a high-quality picture is actually decreasing. LED, which stands for Light-Emitting Diode, is generally used as a backlight for televisions. It's very beneficial to have because, with several layers of tiny lights, different areas of the screen can be dimmed and brightened individually. So as you can imagine an LED TV screen will usually have better lighting but with HDR that might not necessarily be the case anymore. Though its not actually a backlight, HDR does offer similar results to what a backlit TV would offer. Some TVs actually come with both so this a moot point for them but either one will enhance the brightness and contrast of the image so if you want that out of your TV then it would be wise to invest in either LED or HDR. There's also a newer type of LED TV technology being used these days which is known as OLED. The O' stands for organic because OLED's are made organically and because of this are much smaller and more flexible. So small actually that each one of them can be used as an individual pixel, millions of which will occupy an OLED screen. The resulting difference between this and regular LED is actually huge, it basically blows LED out of the water. On top of that, it allows for a wide viewing angle and it's more energy efficient. We discussed earlier that all of the products we're recommending are Energy Star rated but an OLED screen will make it even more energy efficient. Right now, the only company producing OLED TVs is LG but because of how effective and beneficial the technology is, we could see that changing very soon. In truth, very few good TVs nowadays actually lack smart compatibility. Much like the rapid rise of smartphones in the early 2010s, we dont think it will be too long before Smart TVs become the norm too. Its just very useful to be connected. You will have access to pretty much every popular streaming service you could imagine, right from a Smart TVs home menu. Netflix, YouTube, Hulu, Amazon Prime video, all right there and ready to use when the TV turns on. In addition, theres always an app store from which you can get a huge variety of other services, mostly free of charge. Thats not to say that you dont need an account to use any of them, but downloading apps onto a Smart TV doesnt usually cost money and theres a massive variety of them. We all know the most popular streaming services, but theres far more than you probably know about. Many different networks and media companies have their own streaming service and most of them are available on any Smart TV. You can also get games, news channels, lifestyle services and a whole host of other apps for a Smart TV too. Some brands have their own exclusive smart platforms such as LG's WEBOS operating system or VIZIO's Internet Apps Plus. These tend to be more user-friendly than the standard smart systems. So again, we would recommend smart compatibility. Most TVs, even cheaper ones, will have it anyway. We keep coming back to the same thought, but it's really very important, the right TV is going to be different for everyone. We all have our own specifics and everyone wants to get something different out of a good TV. You might want to use it for movies, you might want to use it for video games or maybe something else entirely. Every different factor that we've discussed here has its own advantages and will be beneficial in some way. But some of them also might not matter to you personally. What you should do, is go through each of these different factors, determine which ones are important and which ones you can do without. Then go back through the products and see which of the products best suits the specifics that you've laid out for yourself. As you can see, there are several different TVs to choose from and so if you take a bit of time to consider all of this stuff, then you should find the right one. 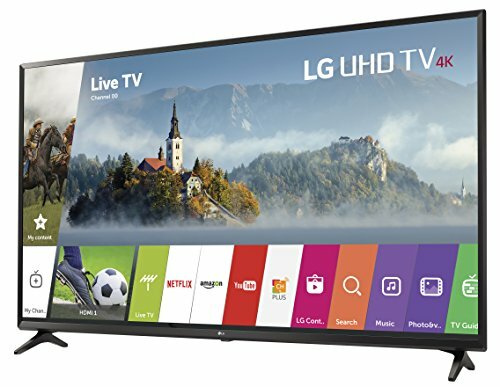 The LG Electronics 55UJ6300 - B01N39OF7M is out top Ultra HD TV under $500. Its a step above the 1080p HD TVs and its also got Active HDR and WEBOS 3.5 as added incentives. We believe that Samsung is the best brand for these cheaper TVs. They produce several inexpensive products that are more than capable of displaying high-quality content. The default presets off most TVs aren't that well suited to gaming. So if you're a gamer, check through your settings to see if Game Mode' is supported for the HDMI ports. 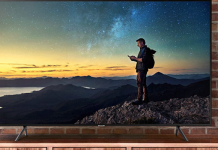 Though 4K UHD televisions are relatively new, many of the most modern smartphones, mainly from Apple and Samsung, are already capable of shooting 4K content.